The ultimate birthday party favor. 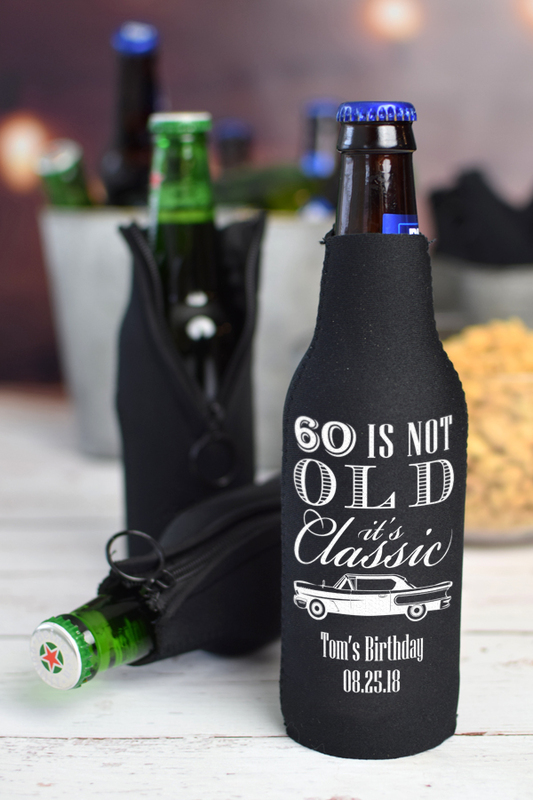 Custom printed neoprene zip-up beer bottle koozies are personalized with a festive birthday design and your own custom message printed in your choice of color and lettering. Each 12 oz bottle koozie is made of soft neoprene, a stretchy rubberized wetsuit material that offers superior insulation to keep your beverage cold. 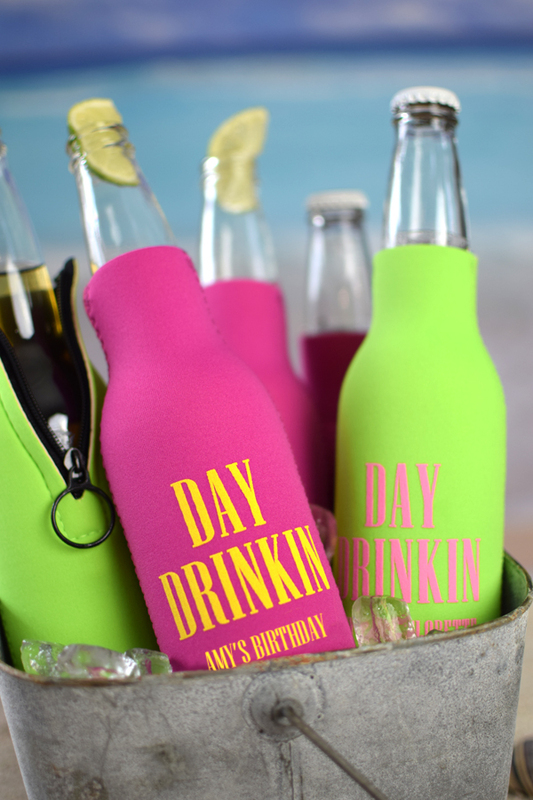 Bottle koozies feature reinforced, stitched seams and a black zipper on the back that easily zip-up for a snug fit around your bottle. 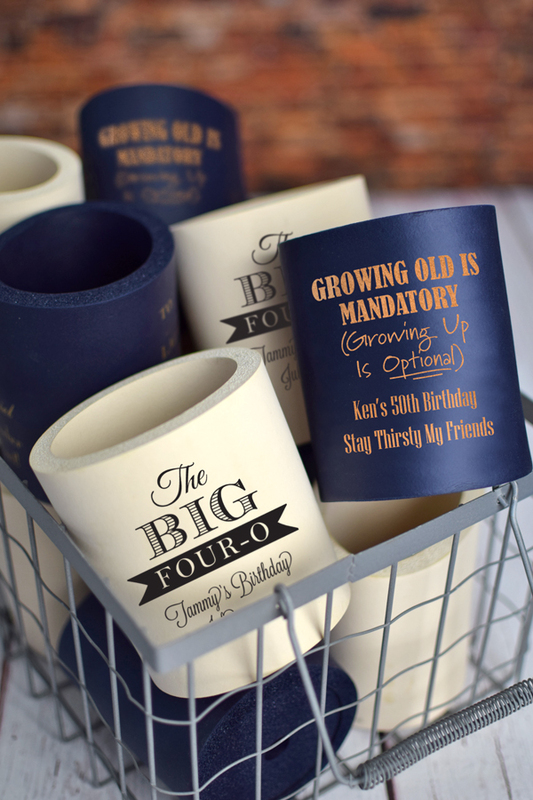 These quality koozies will hold up long after your event has passed; lasting 10 times longer than sponge foam koozies. Two-sided printing available at not extra cost. I was very leary about ordering this product but wanted something special for my husband. I needed it faster than the time given for delivery and emailed the company and they rushed my order. My husband and our guests were so pleased with the quality. Will be ordering again and often. Love it! Just what I wanted. Arrived earlier than expected. Happy with the min. of 12. Loved the fun colorful KOOZIES we had for a 60th birthday. Great customer service and excellent quality. they were perfect! I shopped a lot of sites and these were by far the nicest ones I found. Great price, great quality and designing was easy. The beer bottle koozie's I ordered were perfect. They seem like a great product and everyone really enjoyed the sentiment. I ordered personalized beer holders for my friends 40th birthday. The product came in when it was supposed to and all of the ladies loved it! 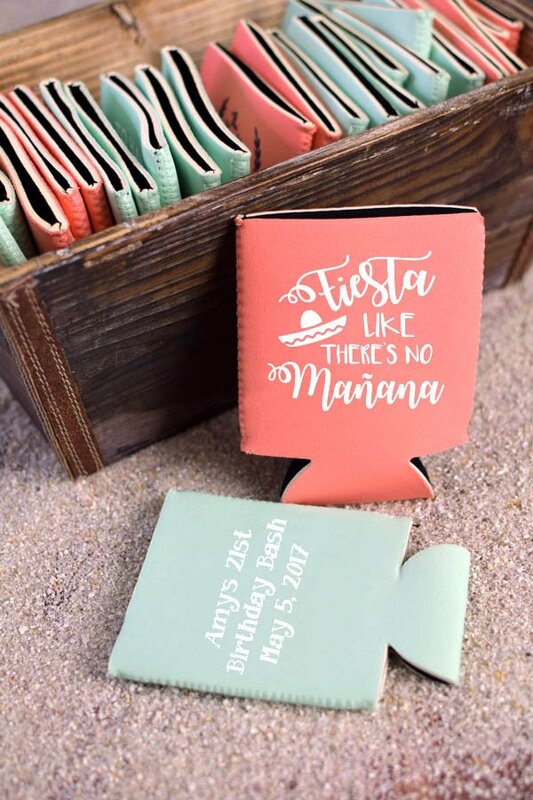 The Koozies came in plenty of time and was a party favor HIT! LOVED Them. Super easy to order! Fast delivery! BIG hit for the 40th surprise birthday party I threw for my husband. Will definitely order from TippyToad again! !